The pre-sale has begun for the Avalanche 2018 geocoin. 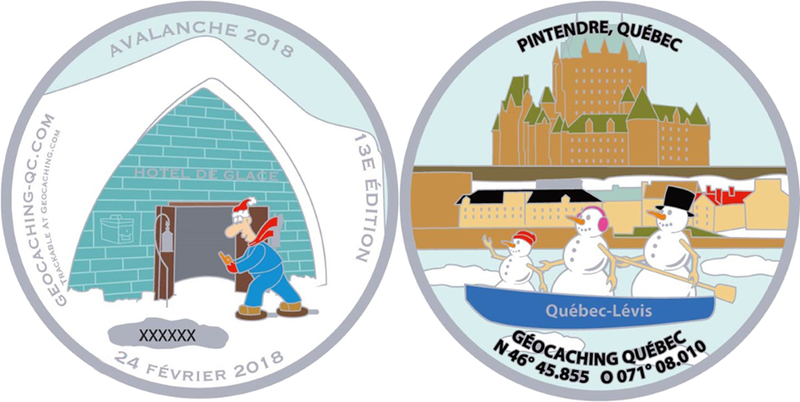 This beautiful trackable geocoin features our the adventures of the Avalanche Geocacher and the Snowmen Family in the Quebec City vicinity! Check it out on the geostore of the AGQ website for more details. Don't delay: as always, the geocoins quantity is limited.